I spent this past weekend in Vermont at a lovely Inn - eating delicious, organic food and fraternizing with delightful family and friends. Saturday morning found me deep in a comfortable chair by the porch while guests and their children wandered in and out enjoying the perfect weather and the local, scrumptious breakfast. It was the first time in weeks (months?) that I've had quality knit time. First Sam-the-innkeeper walked by and asked, "Whatcha building?" Then later Lisabeth-the-innkeeper asked me the same question. I'm not sure if others use this terminology, but I had never heard it before. 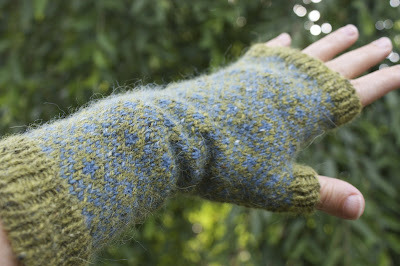 The idea of building a project (versus making or just plain knitting) is new to me. I'm lounging on the porch to the right on an extremely comfy couch. When I knit an object, the act of knitting is usually the most time-consuming part of the process, but it is not the only part. 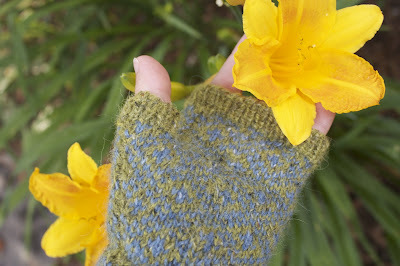 There is the research for the pattern, the measuring, the swatching, the measuring again, the math, the measuring yet again, the adjustments, and then, finally, the cast on. Just as one might design plans for a structure, lay a foundation, or measure wood for a piece of furniture. George Schenk from American Flatbread and his amazing ovens. As I looked around me at the many things at the Inn that were made by hand with integrity and authenticity, I was proud that Lisabeth and Sam had invited me into their group of builders.